heyo friends.i'm very happy to announce a new tape coming next month! 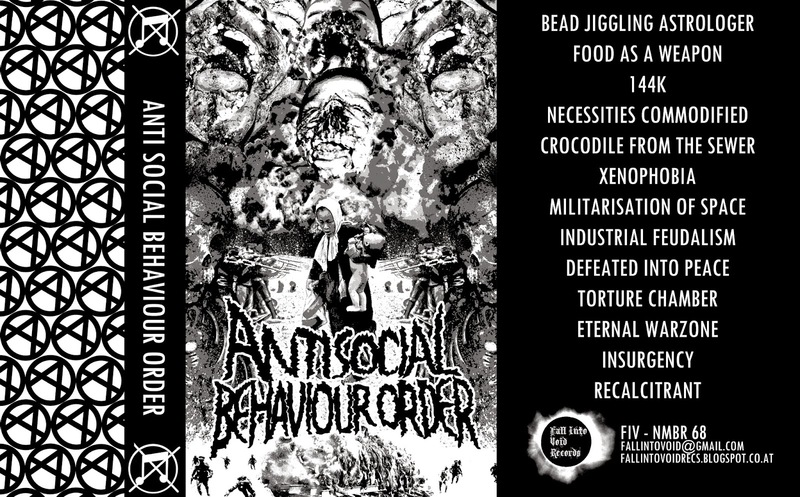 ANTI SOCIAL BEHAVIOR ORDER "Selftitled"
this new two-piece band from the UK is putting down some mad grindcore grooves. around 9 minutes of absolute brutality!